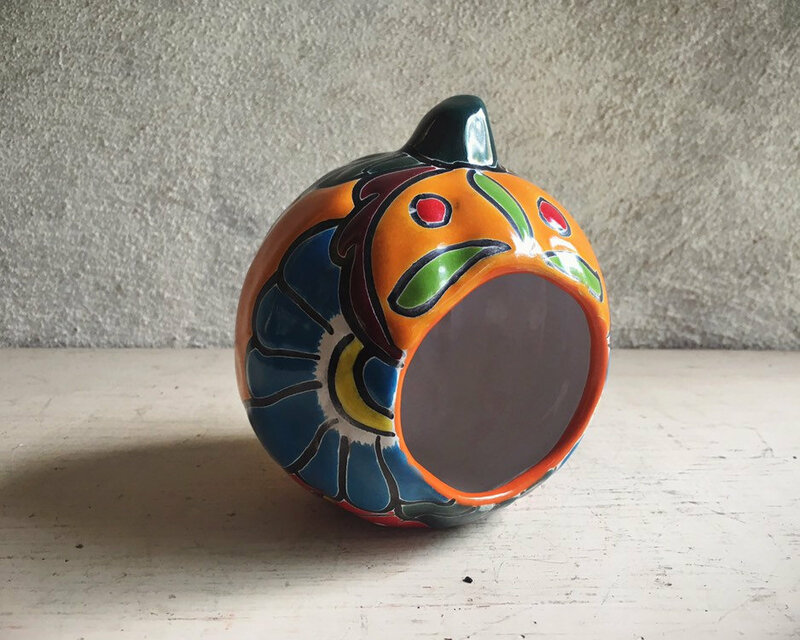 Sweet and whimsical Talavera pottery Jack-o-lantern in orange and green and with other colors such as blue, golden yellow, and white on the back. 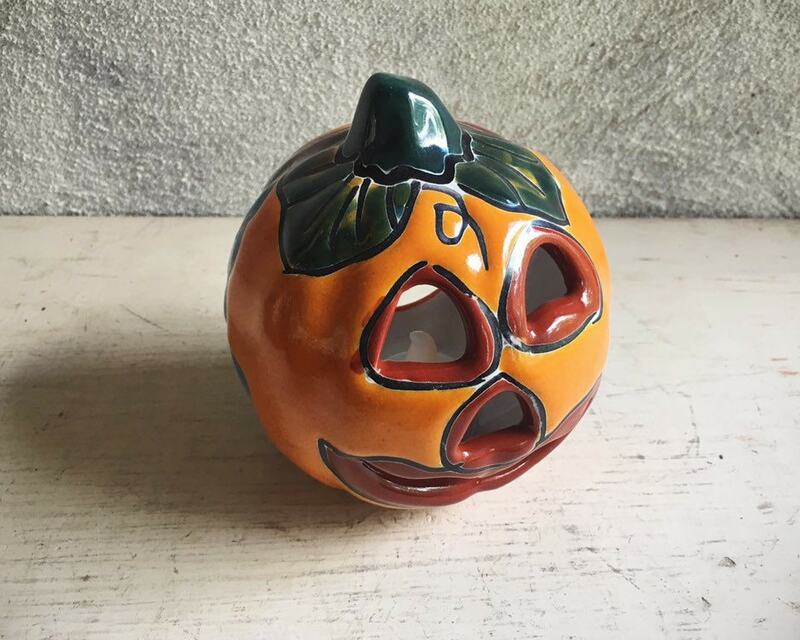 Place a votive candle into the pumpkin and wa-la, the pumpkin's smiling face will glow with light. 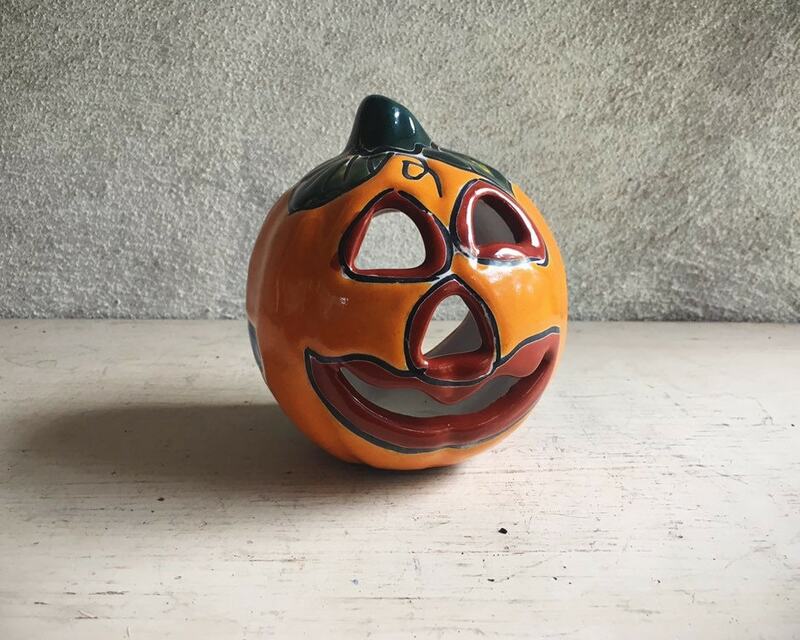 I have two of these, so buy one or both (as available). Colors vary slightly although both are orange. Measures just about 4-1/4" across at the widest point by about 5" tall. Opening in the back for the candle is about 2-3/8" in diameter. 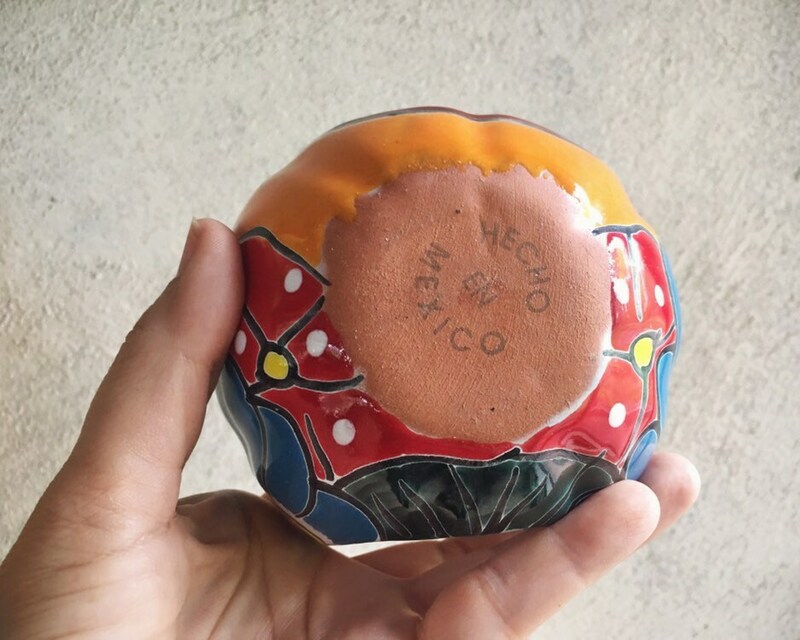 Stamped on the bottom Hecho en Mexico. Some bubbles in glaze and small smears in paint but otherwise no chips or cracks or crazing. 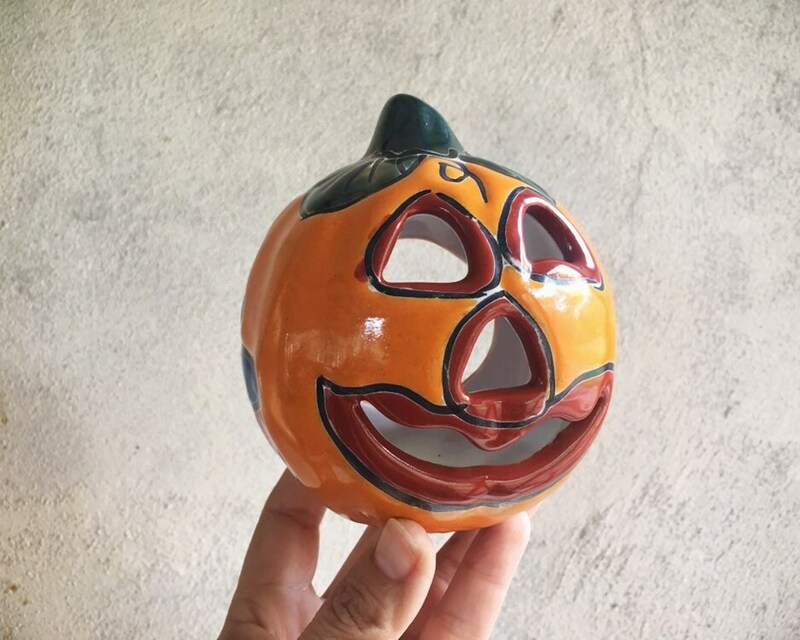 Sweet and vibrant Halloween or Day of the Dead decor.